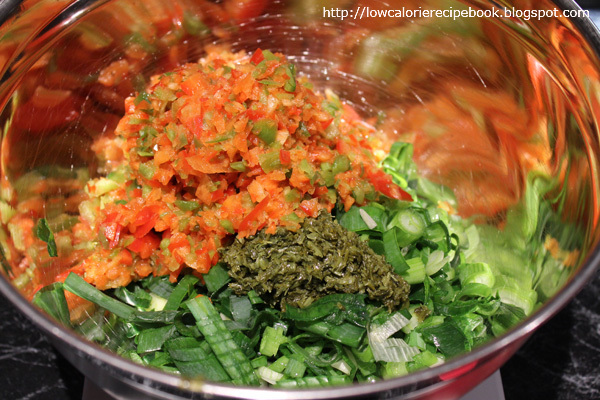 Dice capsicum, slice spring onion and place in large bowl. Add coriander and stir. Add turkey and mix well with hands. 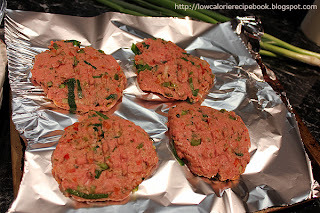 Divide into 14 patties and flatten into hamburger shape (approx 100g raw weight). Wrap extra hamburger in food wrap or freezer containers and freeze for quick meals later. Slice cucumber, onion and tomato and place on bed of washed spinach leaves. 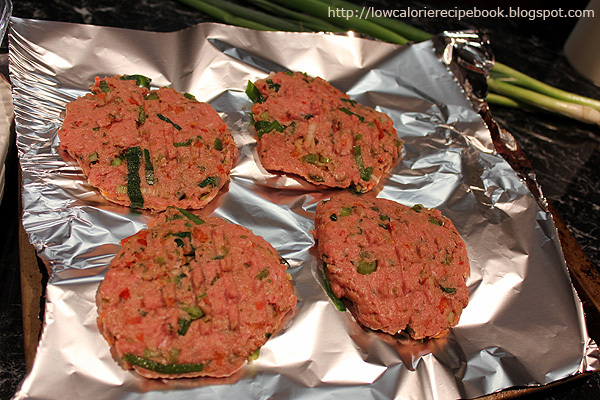 Heat non-stick pan and fry hamburger 5 minutes each side or until cooked through and browned. 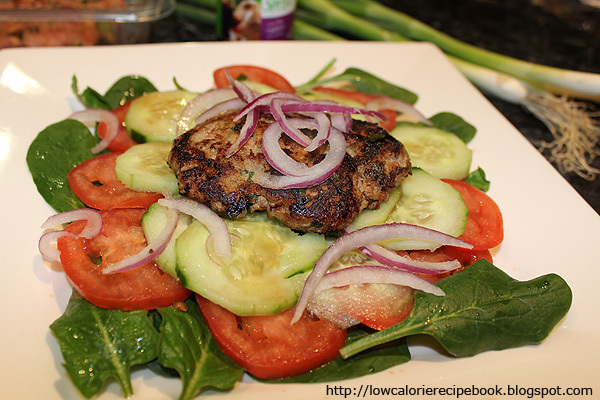 When hamburgers are ready sprinkle dressing over salad and place hamburger on the centre top. Serve. Chilli lovers press dried chilli flakes on the top of the hamburgers before freezing or frying.